For nearly a decade, people in this area have felt the need for a multi-purpose Community Center to serve residents of all ages and interests. Through lengthy, determined collaboration, we are now ready to create a first-rate resource for our hometown area. By doing so, we will send a clear message about our hope for a bright future for residents of this area. 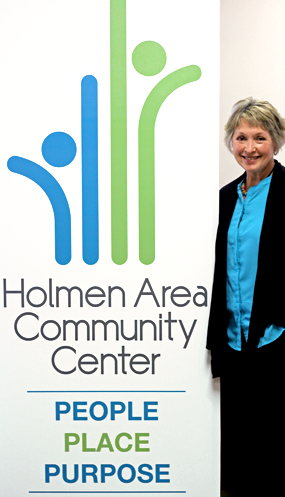 The Village of Holmen, the Town of Holland and the Town of Onalaska have all experienced remarkable population growth over the last two decades Families make up around 80% of all households, with over half of these family households listing children under the age of 18. It is evident that Holmen and the surrounding townships clearly need and deserve adequate facilities and programs to support young families. Attractive multi-purpose facilities are a desirable feature to new businesses that are considering locating to our area. Business leaders agree that a Community Center can be a big “plus” in recruiting new employees. The new Community Center will not only expand involvement opportunities among local families, but it will benefit regional tourism through cultural and recreational programs. This can have a positive economic impact on the entire area. There are numerous examples from surrounding communities, demonstrating how citizens are connecting with one another and their hometown area.